– Primary instance: supports read and write operations and performs all data modifications to the cluster volume. Each Amazon DocumentDB cluster has one primary instance. – Replica instance: supports only read operations. 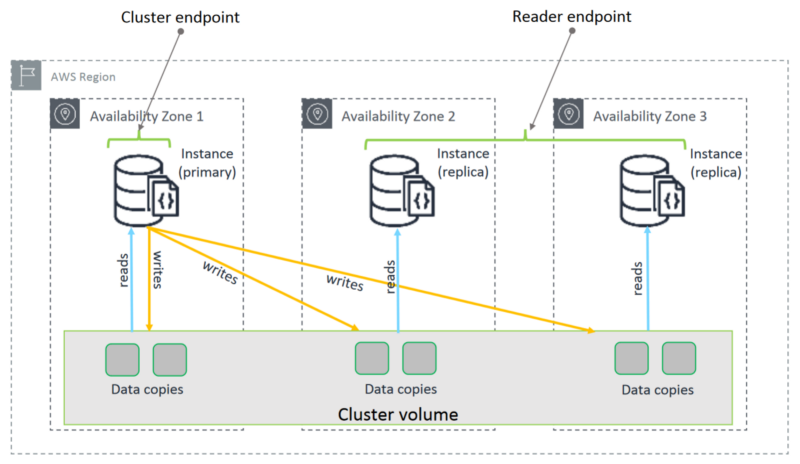 An Amazon DocumentDB cluster can have up to 15 replicas in addition to the primary instance. I heard about the Women Driven Development community through Ada’s List and after my initial call with the dream duo Phoebe and Misa there was no doubt that these were the type of people we at Expedia Group wanted to partner with. I connected with their genuine passion of giving back to the ‘Women in Tech’ community and concurred with their philosophy that sponsorship could make a huge difference when increasing diversity in tech! Together we planned the amazing 3 part #TechitForward Hackathon that took place at the Expedia London offices over February and March. #TechitForward – we engaged with 6 local Islington charities through the Expedia Group Corporate Social Responsibility team. These charities shared their challenges at the first event and then worked with self-organising groups to hack solutions which were showcased at the end of the full hack day. Attendees loved that they were giving something back through their contribution to the Hackathon. Ensuring it was a special, memorable event – We wanted people to come away from this event feeling good and remembering it as a special fun day. We did this by little extras such as a Barista from Grind all day, a very cool SWAG bag, top quality food (not the normal pizzas and sandwiches!) and a photo booth so they could have a photo to take home and remember the event by! 6 charities shared their problems and the 90 developers self-managed into groups based on their interests. A self-proclaimed ‘Rebel’ group formed to create something that could be used by all charities. Now mostly in groups the idea precipitation began. During the event each team did a quick elevator pitch on want ideas they were working on. Event kicked off with an inspirational panel sharing their journey from Engineer to Director and the challenges they had faced in their career as an under represented group in tech. Hacking began with a regroup at 2pm for groups to share what they were working on (and call out successes/barriers) and all work was showcased at 6pm followed by food and drinks. The projects with the charities will continue.. WDD are planning further evening events where attendees can get together and continue to work on their hacks! And I know some of the hackers have already continued to engage with the charities and their teams to do more since the Hack. It was an amazing experience being part of the Hackathon across all 3 events and I loved every minute. I look forward to partnering with WDD on future events, as well as working with my lovely Expedia colleagues to organise more Hackathon and events. If you want to check out more photos from the event you can do so here. In the last week of January, two engineers from the Hotels.com iOS team went out to Paris, to partake in the 5th annual dotSwift conference. For those who don’t know what a dot conference is, let me bring you up to speed. dot-Conferences are the equivalent of TED talks but more focused on topics from the tech industry; there are 7 different flavours of dotConferences: dotSecurity, dotScale, dotAI, dotGo, dotCSS ,dotJS and our very own dotSwift conference. It was a great day to meet with other engineers from across the industry, as well as meeting other engineers that work within the Expedia Group — namely, members of the iOS team from Traveldoo in Paris. The day was broken into 3 sets of talks with breaks between them. The talks ranged from the sublime, how ‘pure swift’ apps aren’t really a thing as they all rely on the Objective-C runtime and ways of embracing Objective-C (instead of trying to get rid of any mention of it as fast as possible), to the ridiculous, such as a proposal on why you should use unicode characters in your code for method and variable names. to tell your boat object that it should steer left. That notation could probably get away as a contemporary art piece but it’s definitely not useful as a standard for a naming convention. Instead it focused on scientific modelling and using the same notation that equations have, such as using Σ(sigma) for sum and λ(lambda) for wavelength as function and variable names respectively. This makes sense if you’re working with physicists who don’t want to look at long function names (no matter how descriptive they are) and also gives them an opportunity to debug the algorithm as opposed to your code. It was brilliant to hear ideas from some very talented individuals — we even got to hear talks from people working on open source projects at Apple, such as SwiftNIO (an asynchronous event-driven network framework)— which gave real insight into what problems they were encountering and how they went about solving it. As well as the main talks there were a number of lightning talks given by members of the Swift community. These were super quick talks that were straight to the point, often providing points of thought or presenting useful approaches to problems or tips. 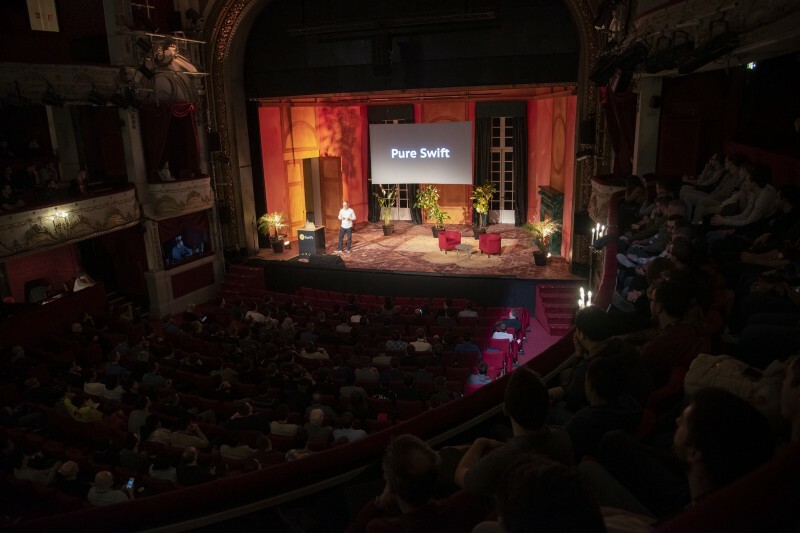 Photos of the talks are available at https://dotswift.io. I’d highly recommend giving them a watch — maybe you’ll find a solution to an issue that you are currently encountering or learn something new. The beauty of working in a truly global & diverse environment – different time zones – is that there is no “typical” working day. There is a planned itinerary and then there is an unplanned one which spices up the day with new encounters. This is absolutely stimulating to the brain cells. But amidst all this excitement something that’s never off the radar is keeping a pulse of customer satisfaction through Service Now Dashboard. What have you enjoyed most about working at Expedia Group? It’s evolving each day – lightning fast! Working on multiple global & regional projects and initiatives sets a prodigious learning ground: “Fasten your seat-belts, we are in for a bumpy ride” – I JUST LOVE IT! The People! I love the One Team, Group First culture & the appetite for extraordinary customer service advanced from a diet of customer-centric values. Happy customers make my day and I strongly believe in “First Time Right Philosophy”. I am proud to have lived by both! The list is long & beautiful – all Women leaders starting from my working mother to business leaders like Indra Nooyi to political leaders like Hillary Clinton to my own Expedia Group leaders like Becky and Preet – keeps me going and motivated!! How did you learn to embrace failure? Albert Einstein rightly said, “If you’ve never failed, you’ve never tried anything new.” I have witnessed failures, but I am still on my journey to gracefully embrace failures. I believe in assessing potential risks and mitigating them to minimize the chance of failure. What is your favorite piece of career advice? Avoid being paralyzed by fear – Give wings to your thoughts and you will soar high. It’s a piece of advice I follow, too! Tell us about your favorite vacation. One of my most memorable vacation was with my family last year to Andaman and Nicobar Islands. From the multicultural town of Port Blair to picturesque pristine beaches, crystal clear water of Neil and Havelock Islands, Andaman offers a perfect choice for an exciting and peaceful vacation, and the more adventurous deep-sea diving – this place completely bowled me over for the second time. What is your favorite weekend? Lazing around in perfect peace in mesmerizing ambiance of my living room with my family (two naughty chirpy girls and a not so naughty husband) with some quick snacking & chit chat is the perfect weekend for me. Sounds cheesy maybe, but this comes as a gift of motherhood to me. What have you enjoyed most about working at EG? The encouragement to think wide, to test and learn. There is a hugely supportive environment that allows one to risk failure without any negativity attached to it. Plus, I get to play out my role with a lot of freedom and autonomy. My team comprises of 6 nationalities and works across multiple time zones in APAC. They are incredibly passionate, driven and highly empathetic. I love their energy and ability to get stuff done. When we started off People Services team in APAC, there were many things that needed to align better. We were expending a lot of effort, but the impact on employees was sub optimal. Over the last 18 months, I am incredibly proud of the team that we have built, the technology interventions we have implemented and process excellence that we have fostered. While we still have a long way to go, we have already started impacting employees in a positive way. Our Employee experience is much improved and that such makes me incredibly excited. Who has influenced you the mos? Growing up, my father was a key influence in my life. Then, my wife and my daughter have two big influences on my life and I have learnt so much from them! I find inspiration in little little things in every day. A kind gesture, a lovely song or beautiful scenery really charge me up. I often turn to poetry to sooth a troubled day. Finally, I am also inspired by how people surmount challenges and demonstrate an incredible will to live and live well. I have always taken failure ‘personally’ and often brood on it. Over time, I have pushed myself to ‘let go’ and not let my ego come in the middle. This has been a really tough and learning experience for me and I am still on that journey. What is best career advice? My most frequent recommendations in terms of career advice are two (i) strive to be awesome at the role that you are doing such that you are upheld as a role model, and (ii) create a wider spectrum of skills so that one is able to broaden one’s capabilities to take on different roles. That way, we can demonstrate excellence in the current role and have a bouquet of skills to offer that can help us go to new/different roles! This has to be Scotland and Lake Districts in North England. Picture-post card perfect places, great weather and we had a lovely place to stay. What is favorite weekend getaway? I love the hills, so whenever I get a chance, I relish going into the mountains and spending some quality time. I am very happy to have had the opportunity to work in the Agile world for almost 4 years, that have been fantastic and challenging. Being a Scrum master is an invaluable experience and makes you understand and reflect a lot about company processes and software development in general. It is very hard to discover and address disfunctionalities in teams’ processes. In fact, disfunctionalities are often sneaky. Metrics and surveys can help you but you need to develop an insight to recognize them and this helps you improve a lot as person and professional. I decided to share with you three thoughts I noted down in these years. In these four years I did tons of training. Prepared tons of presentations on the various agile practices and artifacts: Kanban, Scrum, backlog and backlog refinement, pair programming are only examples. be assertive and effectively contribute by pushing for the application toward some beneficial practices. Being able to find the right balance between these two approaches is a fundamental key in a scrum master role. In a perfect world the Scrum master would always choose the first approach. But in the real world, this is not always feasible. For example, there could be situations where it is not possible to wait until the team becomes mature enough to adopt a practice. On these occasions, in my honest opinion, is when the Scrum master needs to be assertive. I am assuming you are familiar with the Tuckman’s stages of group developmenthere. It is harder to start directly with Kanban than starting with Scrum and transitioning to Kanban. In fact, Kanban requires much more discipline from the team than scrum. Pulling stories at the right time, limiting the amount of work-in-progress items, are very challenging tasks, even for a very small group of people. This makes Kanban more functional in the teams that are in the norming or performing phase or however not at their beginning. While scrum being more prescriptive, is perfect for a team in the forming and storming phase. stability in velocity and throughput. While scrum is supposed to be an universal framework, in the sense it should be applicable outside of software world, this application is not always immediately clear. In Hotels.com we give training on Agile to very different functions and we encountered difficulties in recognizing a way to apply scrum to certain realities outside of technology. For example there is not so much literature on how backlog items should be documented. Neither is clear how to manage realities where we have mostly personal work rather than team work. I had four challenging years as Scrum master and this opportunity make me grow as person as well as IT professional. During these years I had the opportunity to reflect on some aspect of the Scrum master practices. Particularly I discovered that the Scrum master need to be assertive and effectively contribute by pushing for the application toward some beneficial practices when necessary. The natural emergence of all the team practices is simply a Scrum myth. I, furthermore, think that Starting directly with Kanban for a new team can be counterproductive. My suggestion here is to evaluate Scrum as bootstrap for Kanban. The last point: the fact that Scrum universality (its application outside of IT projects) is not crystal clear. Under this point of view a great community effort to make Scrum more accessible is needed. What is my current role? My role – as of the past year – is that of a business analyst, based in Geneva. When I moved into Analytics, my specialism was People Analytics. I created capacity planning models, assessed quality of hire, and provided reporting for recruitment. A few months ago, I moved into another team focused on new inventory; supporting analytics for third-party inventory and vacation rentals. The core of my role is supporting my stakeholders through data to answer business questions. As an analyst, I report on the “what” by looking at metrics linked to performance. But where an analyst adds value is in moving from the “what” to the “why” and the “how”; helping stakeholders understand why we are seeing certain trends and helping them decide which actions to take next. This means that some days I spend hours querying on databases using SQL or doing analysis in Excel to understand a problem, but other times I am focused on visualisations in Tableau or Powerpoint. My work is all about enabling insights and solving business problems, and the tools I need to use to get there vary. However, just a year ago, my day-to-day looked nothing like this. I was working as a recruitment coordinator in London, scheduling interviews for 50-75% of my office hours. So… how and why did I end up in Switzerland doing analytics? During my year in recruitment, I was fortunate to have a manager who supported and engaged with me to understand my career aspirations and interests. My role prior to Expedia Group had involved some work with data so I had a vague feeling that I might be interested in working with data and solving business problems. With 10% of my time allocated specifically to project work, I expressed an interest to my Senior Director about working more with data. He was incredibly supportive, and involved me in his recruitment reporting; the beginning of my tempestuous relationship with Excel. I found myself excited by the results of early analysis, but also itching to dig deeper and ask “so what” about the trends I saw. I realised that I wanted to spend my entire day answering those “so what?” questions, and that I needed to upskill myself. Alongside my regular work, I started to take on as many projects as possible whilst attending Expedia’s Code Academy (learning basic Python and Java). I also participated in an online Harvard Computer Science course called CS50. Many of my lunchtimes and weekends became focused on getting exposure to new training; I still didn’t quite know where it would take me, but I knew that I had to follow my curiosity. Next, I started to reach out to different hiring managers within Expedia Group. One of the great features of life in Expedia is the open talent market – this declares that all positions opened must be posted internally, and that an employee can apply for roles without having to let their manager know. However, cross-functional and cross-brand moves are really encouraged at Expedia Group, and so I kept an open dialogue at all times with my manager about how we could make my role more data-focused. When reaching out to hiring managers at this point, I wasn’t applying for roles, but looking to build my network and gain some experience. I ended up spending some time shadowing the User Experience Research team in London, and this was a valuable opportunity to assess the kind of work I would enjoy. In the end, it was actually my manager who pointed out the role in Analytics to me. It would involve my Senior Director becoming my direct stakeholder. I worried I didn’t have all the skills on the job description, but I pushed my doubts aside and sent over my CV. Within a week I was interviewing and realising just how exciting the position was. I would be answering the same questions that had eaten at me whilst I was creating reports for recruitment, but with the training, infrastructure and tools of the Analytics team in my arsenal. When I was told the role would be in Geneva, Switzerland, I did not hesitate to relocate. So, how am I finding it now? In the past year since my relocation, I have had a huge learning curve. I discovered that my Excel skills were quite underwhelming and that my powerpoint decks had room for growth. I had to learn to write complex queries in SQL to access data, design models in Excel using R, and create data visualisations in Tableau. Yet despite the number of technical skills that I had to develop (still a work in progress! ), I felt since day one in the team that this was right for me. I love solving new problems every day; and without doubt, the support of my analytics peers and managers has helped immensely. No matter how many slack messages I send, or how many times I pop up at somebody’s desk, I am never made to feel I am asking too many questions. My team in London were amazing, so I was relieved to find when I moved to Geneva that the team here were just as friendly and welcoming. I’m enjoying the challenges of new business topics and problems in Analytics. I have got a long list of skills I’m looking to develop this year, and I’m determined to make a little progress in my French. As for the future? I’ve found my joy in analytics and learning, but in Expedia Group, as in life, change is the only real guarantee. What would I advise to somebody else looking for a career change? Follow your curiosity: what do you enjoy doing, and what really piques your interest at work? When I joined Expedia Group Geneva Analytics team 2.5 years back, the team was made of 30 people. Today, we are over 80. The overall company has been growing strongly in general (10-15% per year), but with the growing push for more data, the analytics function has seen growth outpacing the general company. The direct consequence of this growth is that Expedia Group offers a huge number of opportunities to take on responsibilities and increase one’s scope. Most company that see such growth are often of a much smaller scale… but being part of a large corporation has a lot of advantage: global reach, large impact, and also loads of nice smaller perks like desks you can raise, free fruits & coffees, big allowance for sport activities, showers on site etc. The main Geneva office also happen to be on the street perpendicular to the water jet (Jet D’Eau), so you get to check it out every day when coming and leaving the office; there’s nothing quite like a bike ride along the Rhone and Lake Geneva to get to work! One of the most noticeable changes I’ve witnessed over the past 2.5 years is the drive in the Analytics team to make Expedia Group a great place to work. New joiner onboarding has been strongly developed and streamlined. The number of learning opportunities has increased drastically; Analytics now has a dedicated training committee, along with data science classes & code academy. The need for training is also recognized by leadership through a generous training budget to employees. Our team has probably the most active social committee of the whole enterprise. We have about 5 events each quarter. Last year, some of the activities included an escape room, a baking class, a curling initiation and most recently an ice skating night. For the first time this year, everyone in the team has a quarterly objective to make life in the office better. We see a lot of beautiful initiatives flourish from this: such as “Lunch and Learn” sessions and language exchange groups. Volunteering is also dear to many Expedians. Shortly before Christmas 2018, 150 employees gathered to refurbish a block of flats for people in need in Geneva. You thought London was international? Try Geneva! Prior to joining Expedia Group in Geneva, I worked in London for 5 years. One of the things I loved the most was how international London was, and losing this diversity was one of my main concerns, moving back to my home country. But Expedia Group’s Geneva office is a special place. The vast majority of employees here are born elsewhere; being Swiss-born, I’m definitely part of a minority! When I moved back to my country, I expected people to have the same habits as me. I was in for a shock when I started my work days at 7am and had to wait about 2 hours before most of my colleagues arrived. However, I do feel very lucky to spend my days mingling with people from all over, who have such a rich variety of experiences. The staggered times at which people arrive at the office reflect not only the cultural diversity of Expedia Group in Geneva, but also the Expedia approach to flexible working and work-life balance. Now if you’ve read all this, you might be wondering: “how can I be part of this?” We have A LOT of open positions pretty much all the time, so please check out our Career website and feel free to reach out should you have any questions about the Geneva office or the Analytics team. Haystack is an Expedia-backed open source project to facilitate detection and remediation of problems with enterprise-level web services and websites. Haystack uses tracing data to help locate the source of problems, providing the ability to drill down to the precise part of a service transaction where failures or latency are occurring — and find the proverbial “needle in a haystack”. Once you know specifically where the problem is happening, it’s much easier to identify and understand the appropriate diagnostic data, find the problem, and fix it. Finatra is a web framework created by Twitter built on top of TwitterServerand Finagle, it is the web framework of choice for the majority of Scala core services at Hotels.com. Recently, we wanted to integrate our services with Haystack in order to have distributed tracing information across service boundaries. Finatra supports out of the box tracing using standard Zipkin X-B3-* HTTP headers. In order to report this data to Haystack we needed to publish the tracing data to a proxy service we have running which forwards it to both Zipkin and Haystack. In the Finatra app’s HttpServer class you have the ability to set the tracer and label to be used in reporting by overriding the configureHttpServer function. After this, sending tracing headers to the service will result in the data being published to Haystack for visualisation. If you’re using Finagle clients to call other services as part of a request, these will automatically be propagated and all your dependencies will show up too. Finatra and Finagle are designed to operate in a non-blocking asynchronous way, allowing it to scale and keep the overhead of accepting a new request low. There is no global requests thread pool to configure, just don’t block when you’re handling the request. As such, when we are dealing with asynchronous code we don’t have the concept of a single request thread to do things like MDC, which is how you would normally keep track of per-request state such as tracing information. When using Scala Future[T] we need some way to manually keep track of the tracing information between thread boundaries. We found there was no elegant way to do this without creating a wrapper around Future which copies a context between execution threads. Alternatively you can create a custom ExecutionContext in which the Future can run that provides the same functionality. Problems arise when you use a third party library or some bit of code that doesn’t allow you to define the ExecutionContext or the return type. Twitter were an early adopter of Scala and provide a util library which duplicates and builds upon the Scala standard library features. This includes the Twitter Future, a cancellable Future with no ExecutionContext to manage and the built-in ability to keep track of a Context across thread boundaries. The Finatra server uses them at the edge and Finagle clients return Twitter Futures too. If you use them throughout your application instead of the standard Scala Future then you’ll get tracing propagation for free, at the expense of being a little more tied into the Twitter ecosystem. One thing to watch out for is the zipkin-finagle library defining a service in the META-INF/services folder. Finatra uses Guice for dependency injection and if a library defines a file in the services folder then it will auto-magically be created for you and registered in the service registry. This can make it easier to integrate with Zipkin, you can ignore all the code changes above and instead set some environment variables to let the library create and register the service for you. In my team we tend to prefer explicitly defining behaviour rather than relying on magic components of frameworks to do this for us. It’s why we moved away from Spring, manually wire everything, try to avoid internal shared libraries and write our own request filter logic. This is a bit nasty, we have a hard coded class name in our Docker file and if it ever changes name then it’ll start loading two HttpZipkinTracer instances again. That’s the cost of being able to define the tracer ourselves. We are are hiring! If you’re passionate about software engineering and what we do sounds interesting check out our roles! What differentiates an analyst from a BI Dev? My career with Expedia actually started 12 years ago in Seattle, but I’ve spent the past 8 years in the Geneva office. I initially joined as a financial analyst, moved into regional analytics and managed the team there, before transitioning into my current role leading the BI Dev (Business Intelligence Developers) team. For somebody who is new to the world: How would you differentiate the role of a BI dev to the role of an analyst? I’d like to start off by saying that what matters most is the commonality between the two;the problem solving capability. But when it comes down to it, an analyst is a person who tries to identify business trends and to tell a story. A developer finds ways to explore data, build tools and create efficiencies to enable others. For an analyst interview, the focus might be on answering questions and telling stories with the data. When interviewing a BI developer, I like to understand what tools they have built in the past. For both, I try to figure out if they truly understood the needs of their clients or just followed instructions. However, it really is a spectrum; the roles in Expedia aren’t so definite any more, and the profile we want depends on the job that the team is going to carry out. Sometimes a more generalist person might be appropriate for a team, but in other times you need a really technical skill set. And it is key to note that you don’t need four people with the same skillset in a team; it’s more important to be able to leverage different skills across a team. What defines an “Expedia Group” hire to you? The best hires I can think back on are curious, focused on the problem being solved rather than the official task itself, and are interested in the human dynamic. This is important as often the root of the issue is not immediately clear from the way a stakeholder explains it. It requires both connection with people and grit to solve problems in such a large organisation. I also think a lot of Expedians combine that grit with humour. Across the multiple teams and groups I’ve worked in, there’s been this sense of humour and a lack of ego that underpins the culture. Do all the Expedia offices have a different atmosphere or is there a global Expedia vibe? The offices definitely all have a distinct culture based on the make-up of employees. In the offices where we share space with the Account Management teams there is a particularly social and outgoing vibe; smaller ones, like Geneva, are a little more intimate. If you needed to talk to somebody in Geneva, you would always be able to show up at their desk with a question. And what would your advice be to anybody thinking about moving to Geneva specifically? Switzerland is a great location in the centre of Europe; it’s super easy to travel from. Furthermore, the Swiss are a very active and outdoorsy nation, so there are loads of activities to get stuck in with. And Geneva is one of the easiest cities in the world to commute around. It’s definitely a bit quieter than London or Prague, but there’s a strong social culture amongst the Expedians who have relocated. What advice would you give to somebody joining Expedia Group today to succeed? Approaching everything with a problem-solving mentality has been really important for me. Lots of people are excited about getting the most exciting, glamorous, high-visibility opportunity. I’ve had the best outcomes from going for the “messy” problem nobody else wants to tackle and just making it work. I’ve also had to learn that when somebody is asking you for something, they’re not asking for the “right way” or whose remit it sits within; they want the problem solved. In a big company like Expedia Group it could be tempting to “pass the parcel” but it’s important to have the drive to solve the tricky problems and to take responsibility for subjects. I’d also say it’s important to understand your personal motivations and drivers, which might change over time. I like my current role as I really value making the life of the people I work with more effective, and that is validation I receive every day. Knowing I add value to my colleagues is really important for me. Finally, I have found a lot of value from having a mentor; I would recommend every Expedian to sign up for the available mentorship programs. Leadership are generally very easy to talk to and interested to know that junior people are getting on well, and the visibility a mentor gives you across the organisation can be invaluable.